How do I get kids excited about math? That’s a question I hear a lot from upper elementary teachers who are having to compete against science classes with cool experiments and class animals, or language arts classes where kids are getting to read their favorite chapter books. Math teachers who love what they do know that the concepts they teach are important, fascinating, and fun, but it’s hard getting through to kids who’ve already decided that they “hate math,” “aren’t good at math,” or think “math is boring.” It’s all a question of student engagement. Engagement gets thrown around a lot. Is an engaged kid just a kid who’s there, and not just a body in a chair? A recent report from the Institute of Education Sciences REL Southeast Lab tries to answer this question, and it’s actually more complicated than you might think. The report describes three different kinds of engagement: behavioral, emotional, and cognitive. You’re just trying to reach your students and keep them plugged in. Thankfully, engagement isn’t complicated, and you’re probably doing a lot to encourage it already. Put simply, behavioral engagement means making kids feel like their participation matters. Emotional engagement means making kids feel emotionally invested in what they’re learning and connecting it to their lives. Cognitive engagement means taking kids from bored spectator to interested investigator. The good news is, getting engagement on all three levels is absolutely possible! There’s nothing like a little competition to get kids engaged. Kids who don’t have a strong interest in math can still be competitive. 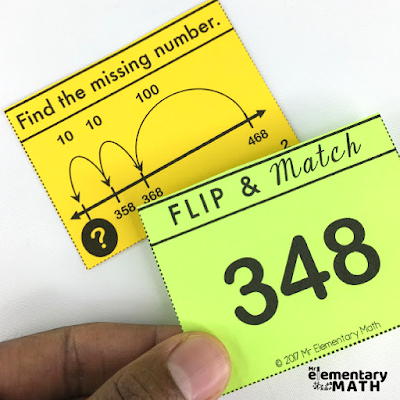 Having a team (complete with team names) to belong to or a partner to play against with a running score count can keep kids invested in coming back to class, especially if there are attendance issues. Kids will naturally gravitate towards what they can do in a group, rather than focusing on what they can't do when they're alone. Partner games can also be an opportunity to pair kids with similar abilities but slightly different strengths. That way, kids can model their thought processes to one another. This is one of the reasons I created Ready-Set-Play Math Games. 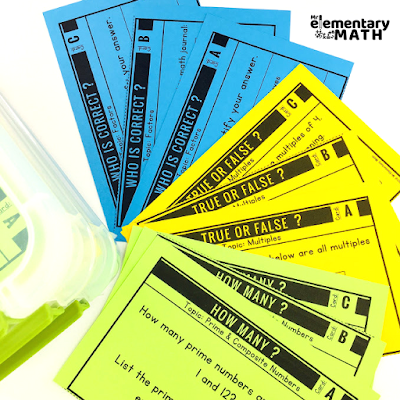 All of the games in each pack allow students to work with partners or groups which is awesome for math centers. 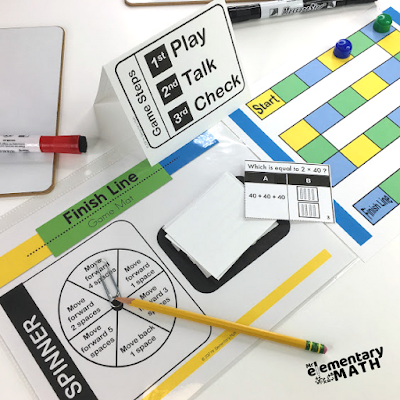 The benefit to these games are that there are 10 different topics for each grade level that are nicely aligned to the standards. When someone says “word problems,” you can count on a few eye rolls. Bad word problems with confusing situations and absolutely no relate-ability get laughs on social media on a regular basis. But don’t just write off word problems or the value of narrative when teaching math concepts. When done correctly, a story creates a connection between real life and mathematical concepts. If you’re like me, you probably find yourself using the same names for problems. I found myself saying things like, “Mark’s house is rectangular prism,” or “Mark has three-eighths of a pie.” Since I noticed Mark popping up a lot, I decided to be deliberate about his story to get kids involved, and they love it! At the beginning of the year, try creating a few characters with some backstory. 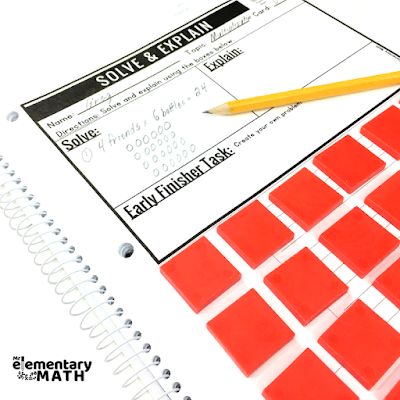 Use them as you teach new mathematical concepts and build on old ones. Create their job, their family, their hometown—let kids really get into it with words and pictures. 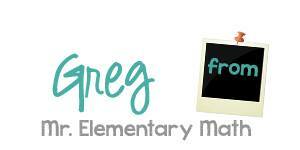 Give their personalities a chance to shine as kids own the math they’re learning! Click here to discover a free problem solving template that you can easily use to help with word problems. I can’t overstate the importance of getting hands-on when dealing with shapes and fractions. Our brains like to get hands-on! Seeing, feeling, touching, separating, grouping, measuring—all of these are ways that kids can physically interact with math. This stimulates part of our intelligence that’s crucial to math and other skills, too: spatial intelligence. Getting hands-on usually involves a sense of play. Attribute shapes, base ten blocks, two-color counters, and fraction tiles are all elements of fun. Kids who are bored by worksheets will sing a different tune when they get to build and create. Connecting to kids intellectually and emotionally through fun hands-on activities is a win for everyone. Pair manipulatives with math problem solving tasks so that your students can get hands on to figure out the solution. 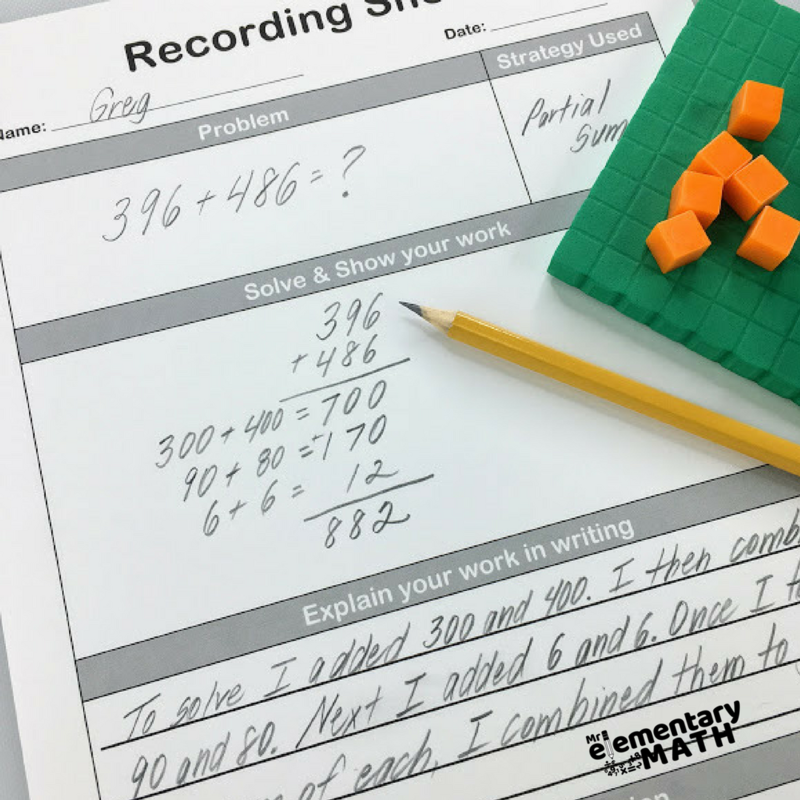 My Solve & Explain Problem Solving Tasks for 3rd Grade and 4th Grade have rigorous open ended questions that can nicely be paired with math manipulatives. In short, get that competitive blood flowing in your kids while leveraging the power of teams, remember that word problems can be a source of connection, rather than frustration, and try to get hands-on with new concepts to stimulate spatial thinking and foster a sense of fun. 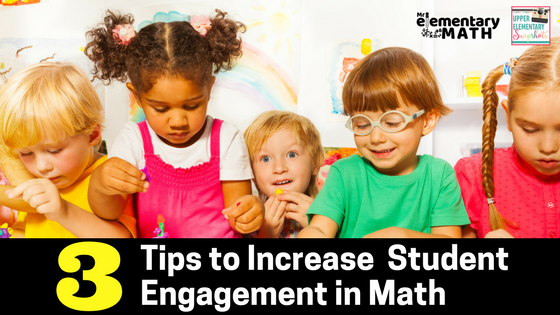 These strategies can help maximize engagement in your classroom. And remember, the most important contributor to student engagement is your own attitude. With enthusiasm for what you do and an all-in approach, you’re sure to infect a few kids with love for math.